Best cloud ERP software- The ERP market is large and well-established. That means that although the ideal product for most organizations is out there, finding it requires careful research. 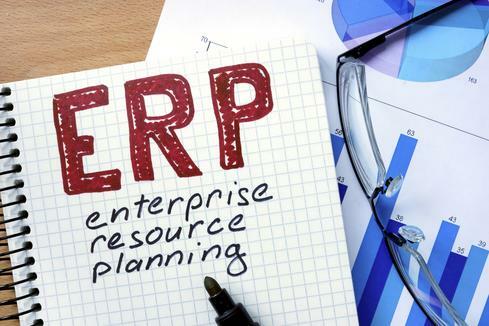 An ERP system includes core software modules — also called components — that focus on essential business areas, including finance and accounting, HR, production and materials management, customer relationship management (CRM), and supply chain management. This roundup of the best cloud ERP software offers a quick snapshot of the types of products that provide ERP functionality. Epicor ERP is for organizations of all sizes in manufacturing. It can be installed on premises or in the cloud. However, Epicor ERP may be a bit complicated and expensive for smaller businesses. As a fully integrated ERP suite, Epicor ERP provides organizations with ways to handle project management, inventory and global business management, just to name a few. The modular software suite enables organizations to purchase only those essential modules without having to buy other modules to run the system. Epicor ERP can be deployed in an organization operating in one geographic region. It can also be used by multinational enterprises implementing a two-tier ERP strategy — i.e., tier 1 ERP for financials and other core common processes at the corporate level and tier 2 ERP for divisions, subsidiaries and smaller locations to address specific needs. Epicor ERP is compatible with all operating systems and devices. Epicor also offers mobile apps that are available for both Apple and Android. The apps contain features for expense and mobile time tracking. Manage financial operations and gain insight into expenses, risk and performance, as well as access fiscal information in real time from anywhere and on any device. Manage all aspects of the supply chain. Capture, store, manage and retrieve documents and content at any time from any device. Produce accurate estimates, streamline the order-to-cash cycle and fulfill orders accurately. Achieve greater visibility into the business to make better decisions. Manage leads, contacts, customers and quotes from opportunity to order. IFS Applications is a component-based ERP system that can help organizations integrate processes and data across different departments and locations. IFS Applications, which can be deployed in the cloud or on premises, offers modules for project management, asset management, supply chain management and more. With IFS Applications, companies can manage the lifecycles of their assets end to end. The product also offers users capabilities for financials, human resources, document management, CRM, business intelligence and reporting operations. Accounting rules — a common set of rules for all the manual and automatic postings within IFS Applications. Standardized interfaces can enable users to handle transactions sent to and received by IFS Applications and non-IFS business systems. Business reporting and analysis — helps companies understand and examine their businesses with prebuilt analysis models; this includes everything from HR to sales and procurement, just to name a few. Enterprise operational intelligence — enables integrated, end-to-end performance management so organizations can manage the entire business, as well as correct and manage broken or complex business processes. In addition, predictive and prescriptive analytics enable enterprises to make better and faster decisions. Quality management — offers a fully integrated system that streamlines and standardizes quality management data across the enterprise. Embedded CRM — gives users who interact with customers full access to enterprise data about the clientele, including invoices, accounts receivables, customer projects and order data. This data can suggest corrective actions or additional sales opportunities. IFS Applications gears its software toward midsize and large companies in a variety of industries, including aerospace and defense, oil and gas, industrial manufacturing, automotive, high-tech, construction, and food and beverage. Some users say it is initially difficult to learn and use without more extensive training and support. Infor M3 is an ERP system geared toward multiple manufacturing industries — like distribution and fashion — as well as process and discrete industrial manufacturers. Infor M3 supports single and multi-company organizations, as well as multisite and multicurrency companies. Because of this, it is available in multiple languages and supports different requirements depending on the country. The post Discover the best cloud ERP software for your company appeared first on erpinnews.